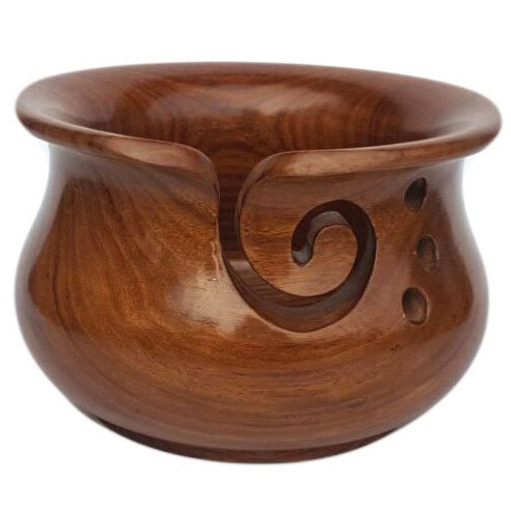 Sheesham wood Yarn Bowl has been expertly handcrafted out of Rosewood (Indian Sheesham wood), a sustainable wood. 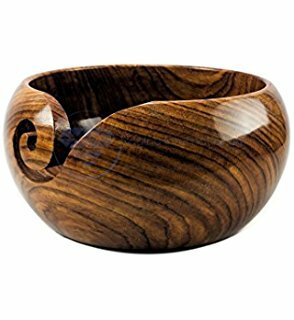 This Beautiful sheesham wood yarn bowl has been expertly handcrafted out of Rosewood (Indian Sheesham wood), a sustainable wood. PORTABLE – Can be easily carried around so that you can knit wherever and whenever you choose. PERFECT GIFT – The perfect present for any knitting or crochet enthusiast! STRONG, STURDY, & UNBREAKABLE – safer than ceramic alternatives! Wide base keeps dish from slipping or tipping. Heavy enough to remain stable on any surface, yet incredibly lightweight so you can pack away in your storage bag or tote when travelling. Neatly holds my yarn while I crochet, and looks really classy doing it! love wish I had purchased more than one for myself. keeps yarn tangle free and off the floor. Gorgeous. 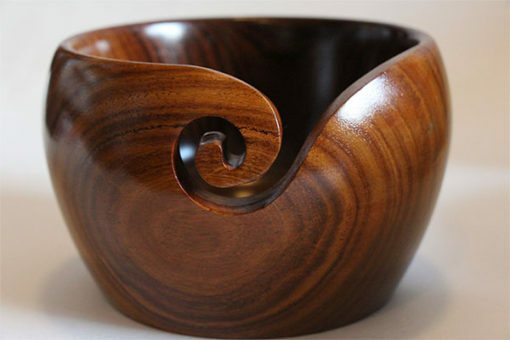 Love this hand crafted bowl. 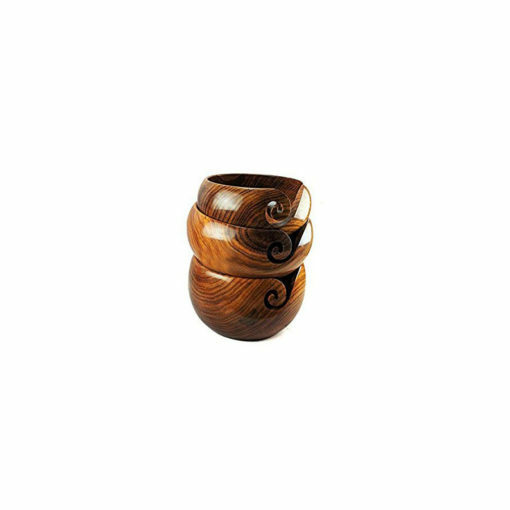 The wood grain is so beautiful and it functions perfectly keeping yarn tidy. Bonus: it’s beautiful on my table! 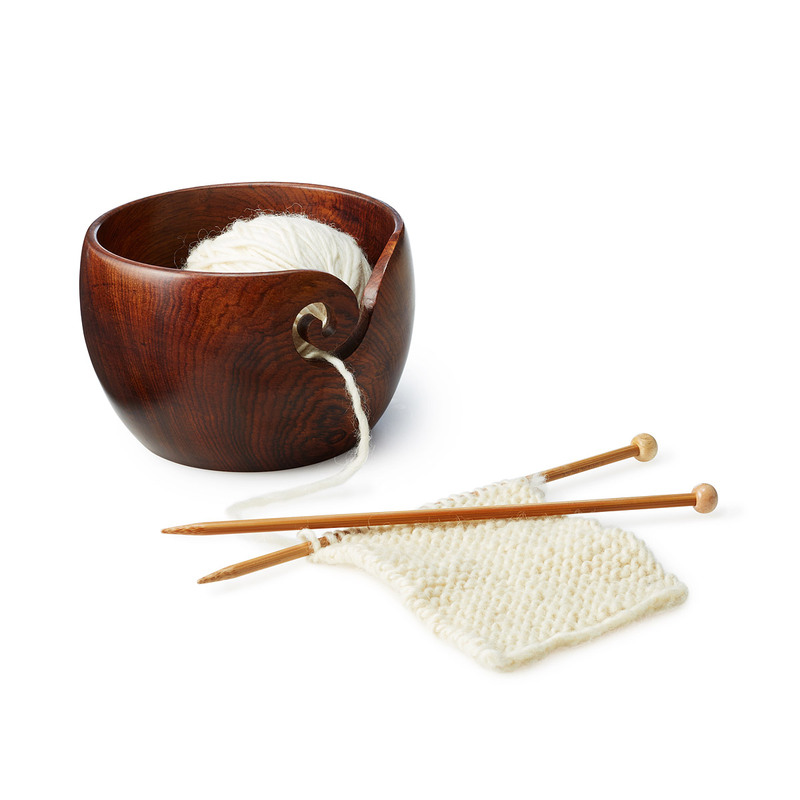 It works well if you have a yarn ball. The color is great and it can go anywhere. 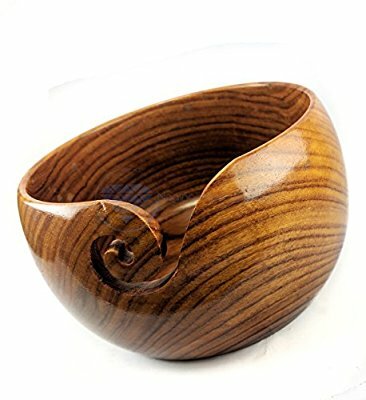 Beautiful bowl. Their customer service is excellent.